On Saturday I was busy cooking my souffles for Blue Kitchen Bake’s French Classic challenge and the idea had been we would have souffle for lunch. Unfortunately the souffles took longer than planned (because I was taking step by step photos) and I knew I needed to have something ready far quicker. So I tossed some carrots into boil and with a quick whizz with the stick blender and some added spices, a glug of single cream and salt to taste we were ready to go. One of my favourite store cupboard ingredients is minced coriander in a jar – you can get it under the Pearl or Rajah labels from ethnic stores. If you haven’t got fresh coriander leaves to scatter on top of soup or curries, this is an ideal substitute. Usually when I make soup I start with frying onions in a spoonful of oil and probably boil some potato or parsnip with the carrots. I did neither of these today since I was cutting corners and otherwise distracted making souffles at the same time. Fortunately I had a Ted sized portion of left over mashed potato in a tupperware container. And it was the perfect amount to improve the consistency of my soup. I am sending this soup to Vanesther who is hosting Herbs on Saturday, Helen and Camilla for Credit Crunch Munch and Kate at Turquoise Lemons for this month’s mashed potato themed No Waste Challenge. 6 carrots, topped and tailed. Mine were organic so I didn’t bother peeling them today. single cream (I use Elmea. How much to use is up to you). 1. Boil the carrots and garlic cloves in 1 litre of water. 2. When they are cooked, use a stick blender to puree the soup throughly. Add the dried spices and Smash and stir in the single cream. 3. Season to taste and serve with minced coriander on top alongside some substantial bread. What a great improvised supper and I too have discovered minced coriander, only mine is in a tube from the herb aisle in Tesco! Thanks for another fab entry to Credit Crunch Munch! I love the stuff! No curry is complete without a dashing of this minced coriander on top! Thanks – I have a problem with displaying images on the other site at the moment but hoping to get it fixed before the deadline! He certainly is – he wouldn’t co-operate eating this on Saturday but has requested soup every day since. Make of that what you will!! 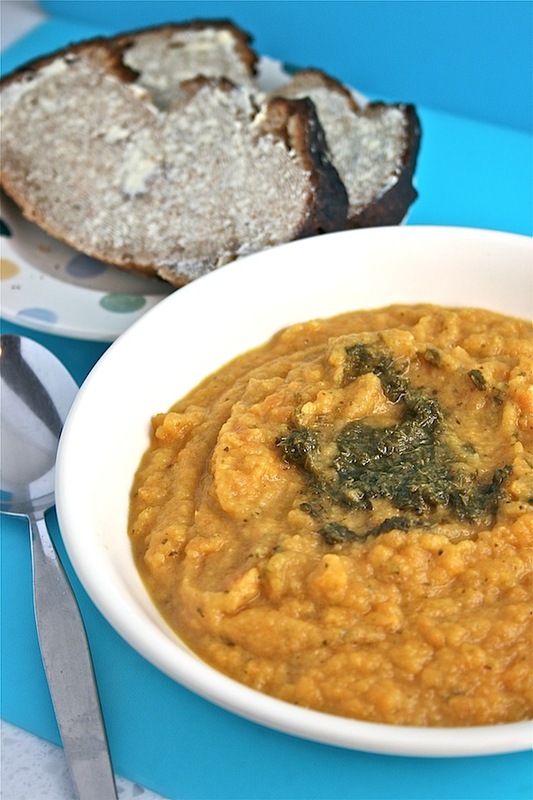 A fantastically quick, easy and economical soup. I’ve never tried minced coriander, but sounds like I should definitely get some in for moments like these! And what a great idea to use leftover mashed potato as a soup thickener. 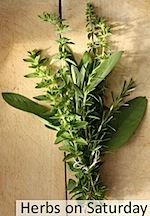 A great entry for January’s Herbs on Saturday – thanks so much for taking part Sarah. I love minced coriander because on top of curries etc if gives the flavour you’d get with fresh but easy to grab if you haven’t got the fresh version to hand. Great soup! Impressed at how quickly this can be thrown together! I’ve not tried minced coriander, will have to try that. The little frozen cubes have proved handy in an emergency. I love this – what a clever, spontaneous use of on hand ingredients. This is what cooking is all about. 🙂 I’ve never tried minced coriander, but I’ll keep an eye out for it in the supermarket – it sounds like a great idea, especially when it’s so cold and my windowsill herbs keep dying! 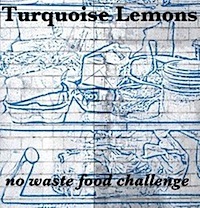 Thanks for entering this recipe into the No Waste Food Challenge. Ps. I LOVE your blog name! Great soup Sarah. Never thought of adding mash to it.